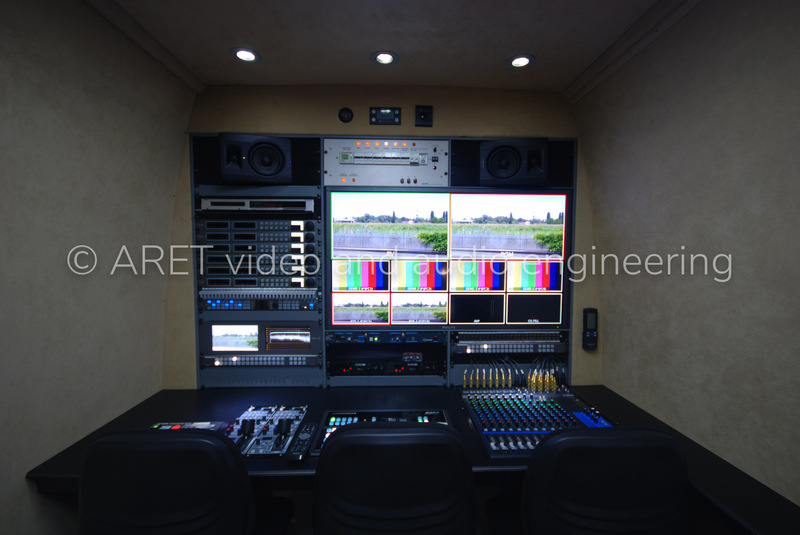 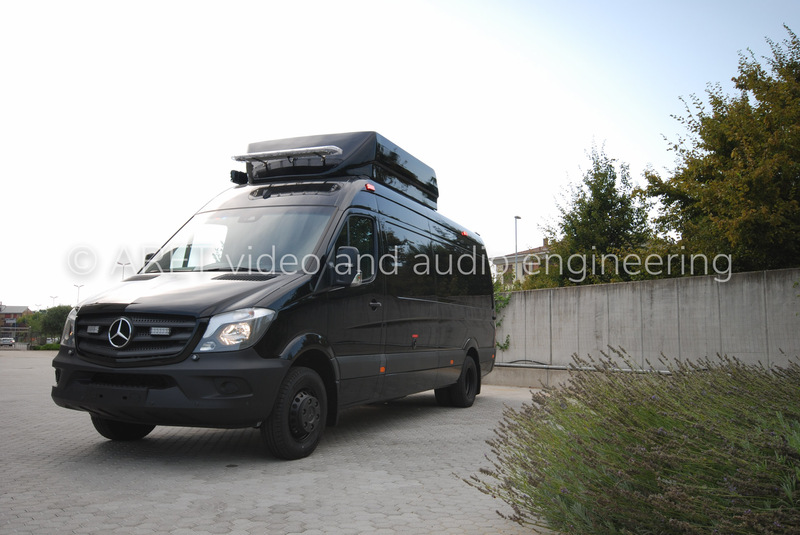 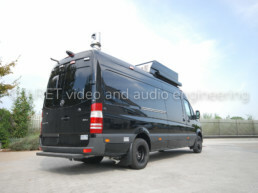 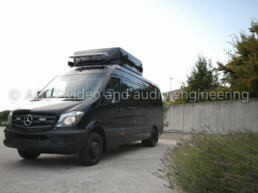 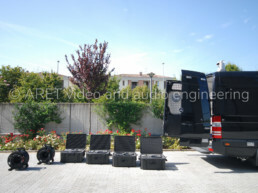 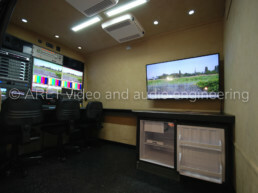 This 5 HD cameras OB Van was realized for the police department of a country in the middle east. 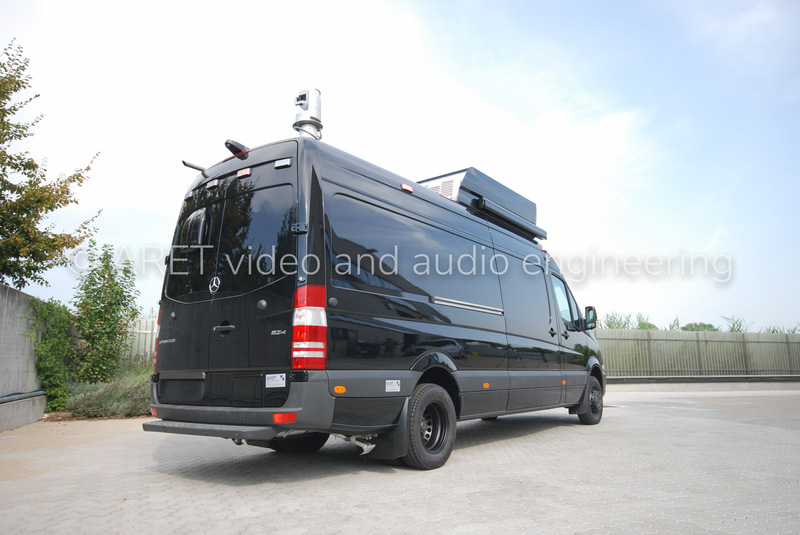 It has been designed for 2 wired cameras, 2 wireless cameras and a robotic PTZ camera that is installed on top of a pneumatic telescopic mast that can be raised up to 8 meters. 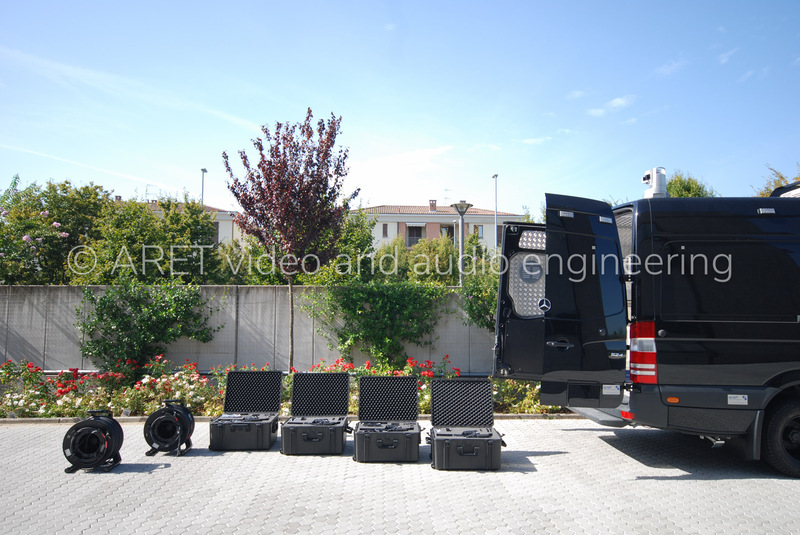 The OB Van, based on a Mercedes chassis, has a power supply that can be selected between Public Network and Diesel Generator. 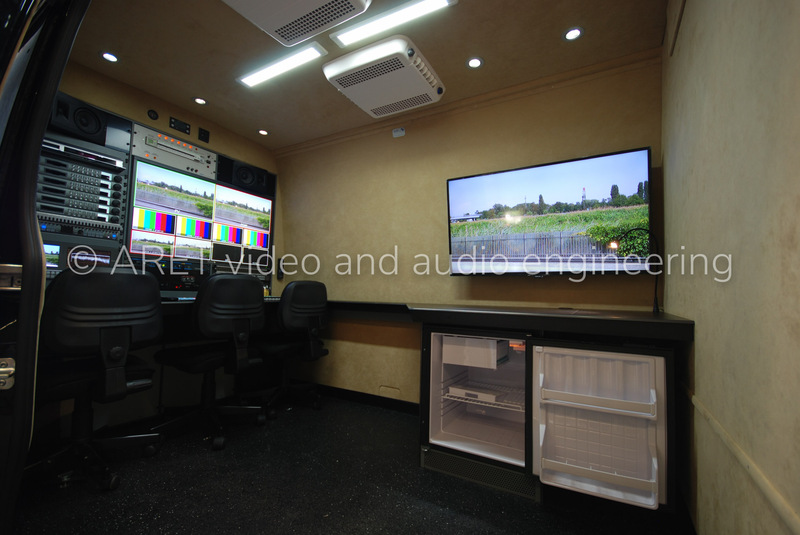 The Van is equipped with a 8 kVA Diesel Generator, a 3 kVA UPS, an Insulation Transformer, a built-in cabinet refrigerator and a powerful cooling system both for the production room and the racks. 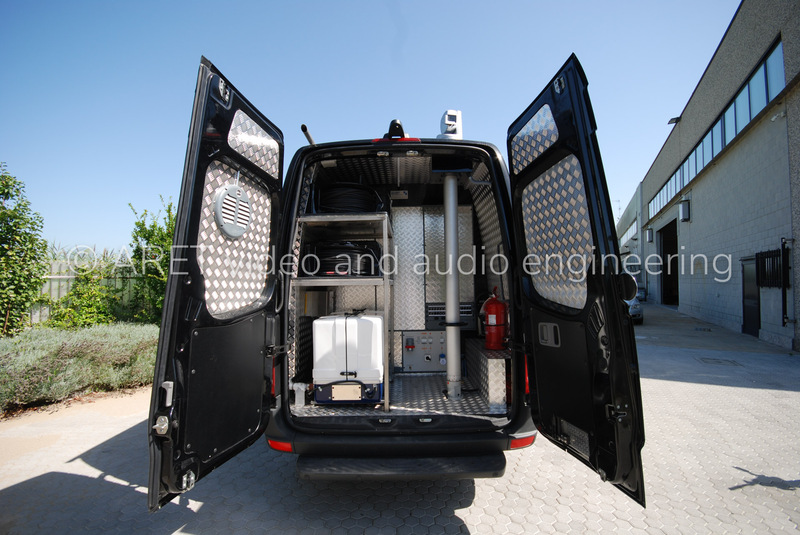 In between the Diesel Generator area and the Internal Operative area, there is a specific acoustic insulation solution that isolated the two rooms. 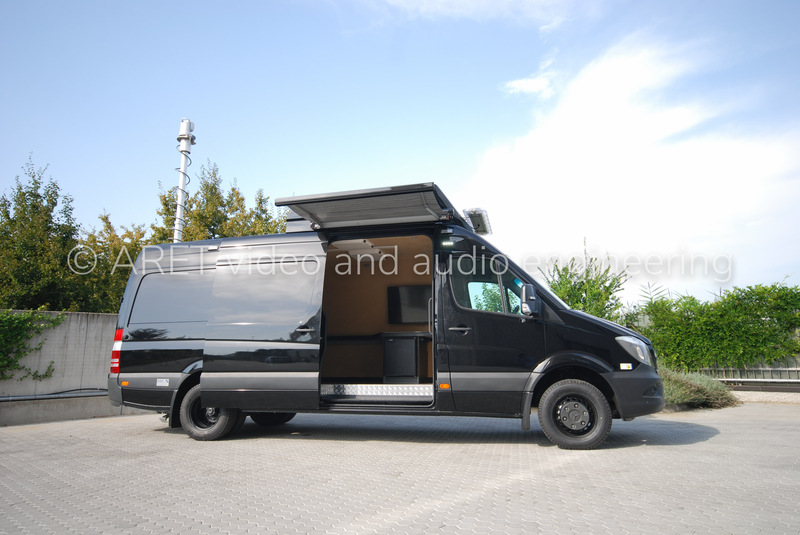 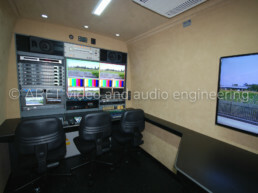 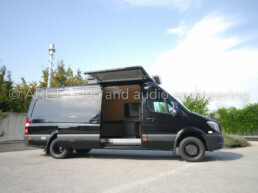 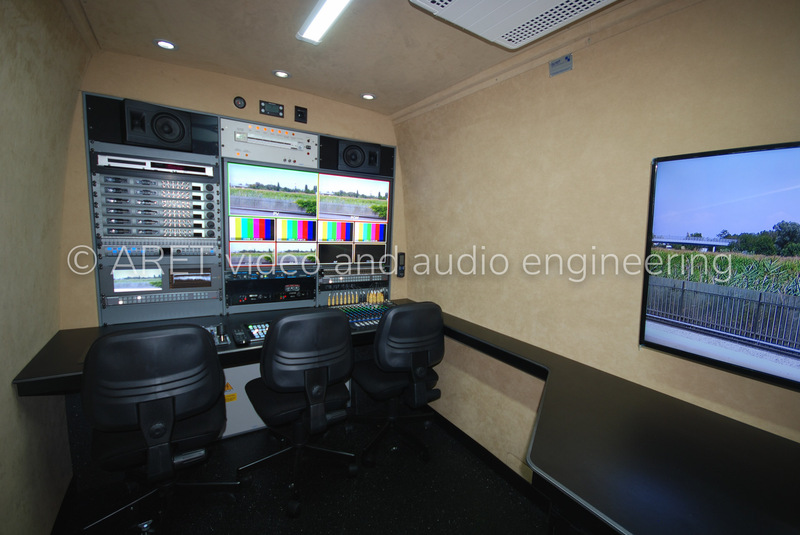 The OB Van can accommodate four operators for: camera control, video mixer, audio mixer and graphics/post-production. 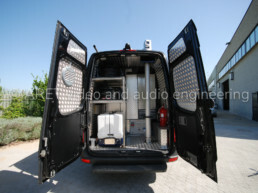 It also features a specific external flasher lighting system and a multi-tone siren designed on customer’s requirements.